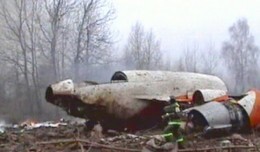 Wreckage of Polish Air Force Tu-154M (101) in Smolensk, Russia. The crew of the doomed Polish Air Force jet that crashed on Saturday—killing the President and other top Polish officials—may have felt pressured to land despite warnings of low visibility and recommendations to divert to safer airports, according to a NY Times report. 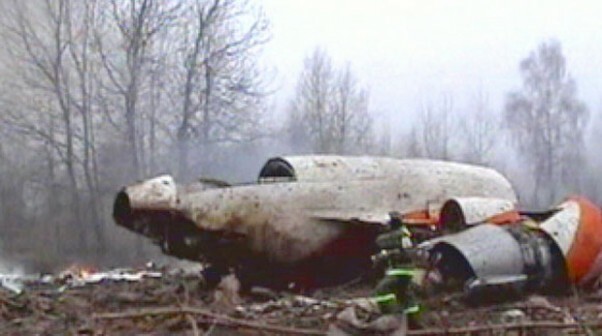 During a Presidential trip to the Georgian capital during that nation’s brief 2008 war with Russia, President Lech Kaczynski publicly ridiculed the pilot of his Tupolev Tu-154M VIP transport after the airman refused the President’s orders to land in Tblisi due to dangerous conditions. The pilot, who was not flying Saturday’s doomed flight, was never formally disciplined, but reportedly suffered from depression following the incident. Polish authorities have asked the US and other nations to remove graphic images of crash victims from websites hosted in their countries. Poland has announced that it will conduct its own probe to determine the causes of last year's plane crash in Russia, which killed 96 people including Polish President Lech Kaczynski. Russia on Wednesday announced that a pilot error was the main cause of the fatal plane crash that killed Polish President Lech Kaczynski and 95 other officials last year.